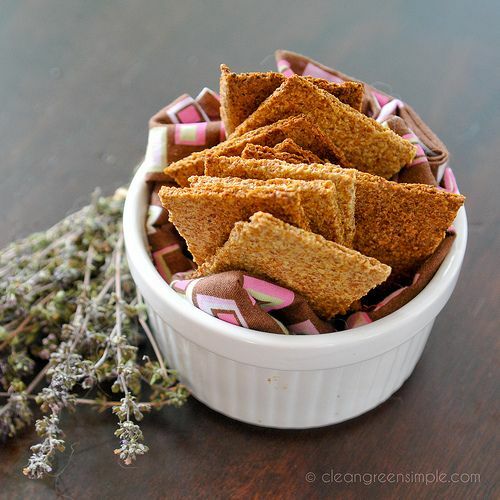 Flax; the shiny, brown seeds of this unassuming plant are packed full of health benefits. Though edible in raw seed form, the seeds must be chewed properly in order to give the body nutrients. The tough, crunchy exterior makes it difficult to eat which is why many people soak them beforehand. Many people find it easier to consume the seed in its other forms: powdered or ground. A small helping of these seeds provides quite a few nutrients in a small package, one tablespoon being the standard serving size. Flaxseed can be incorporated into carb-recipes to add substance, used in healthy energy bars or added to smoothies. You can even use the ground version to create an egg substitute. Flaxseed provides omega-3 fatty acids which encourage circulatory and heart health. 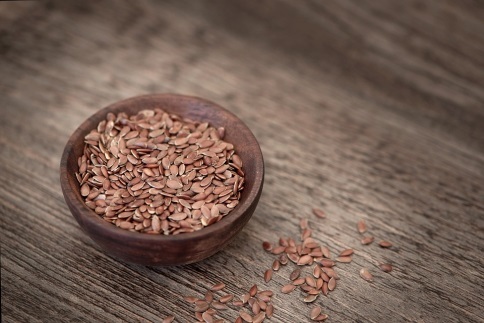 A serving of flaxseed contains 1.8 grams of plant-derived omega-3s. Chickens producing omega-3 enriched eggs are being fed flaxseed to ensure a higher level of the fatty acid. The powerful little seeds contain lignans, an antioxidant and plant compound called a polyphenol. Like omega-3s, lignans encourage good heart health while also providing antioxidants. Lignans can help guard against breast cancer. The plant lignans from flaxseed are converted into “human” lignans (enterodiol and enterolactone) in the gut. These converted lignans bind to estrogen receptor sites, thereby reducing the level of estrogenic activity and redcuing the risk of cancer. Conversely, if you have low estrogen levels, the lignans can work to balance that. 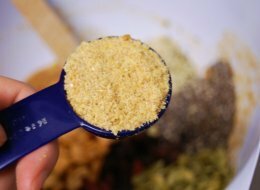 Two servings of flaxseed fulfil roughly 25-29% of the recommended daily intake of fibre, delivering 3.8g of soluble and insoluble fibre. That doesn’t seem like much, but consider that 95% of the carbs in flaxseed come from fibre. Fibre is extremely important for ensuring digestive health as it feeds good gut bacteria. Mixing ground flaxseed with water will make the mucilage gums in the seed very thick. Thickened mucilage gums and insoluble fibre work in tandem to create a natural laxative. A serving of flaxseed also sneaks in a bit of protein, 1.3g, and every little helps.